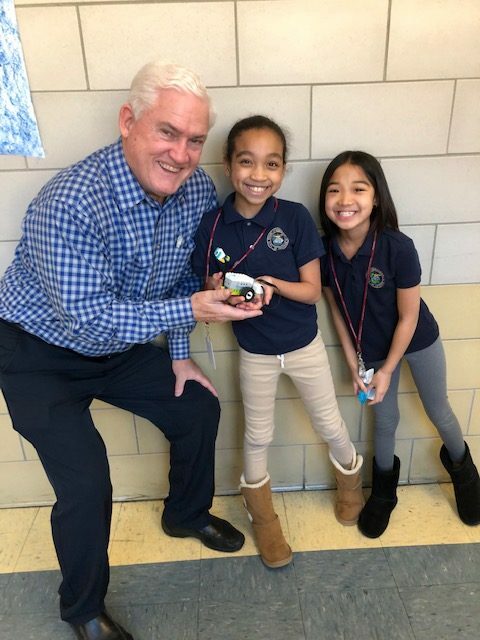 ROBOTIC ACTION — The Grade 4 students in Mrs. McMonagle’s science class at Midtown Community School were presented with the challenge of building and programming Milo the Space Rover. They had so much fun while learning! Here Mr. Tim Mercier, Interim Assistant Principal got in on the robotic action!